Molybdenum bars have the properties of high melting point, good thermal conductivity and low thermal expansion. At high temperature, they can resist oxidation and have high strength without any distortion during the procession, etc. 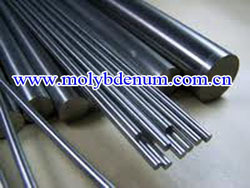 Molybdenum bars or mo bar is manufactured as random length pieces or cut to customers' desired lengths. In addition, there are three different surface processes or finishes which are provided, depending on the desired end use of the molybdenum bar or moly bars. Molybdenum bars for steel melting Mo-1, Mo-4 9.5 20 x 20 x 600 With high purity, it is used as additives in steel melting. 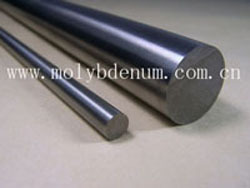 Appearance: Divided forging molybdenum rod and polished molybdenum bar; forging molybdenum bars surface is allowed to have oxidize film and slight forging hammer mark; polished molybdenum bar or moly bar surface presents metallic luster and has no oxidized phenomenon notably; The two surfaces have no defects, such as divided layer, crackle, burr and vertical crackle, etc. More detail can be find from Molybdenum Square Bar, Plate, Round moly bar & molybdenum bars.